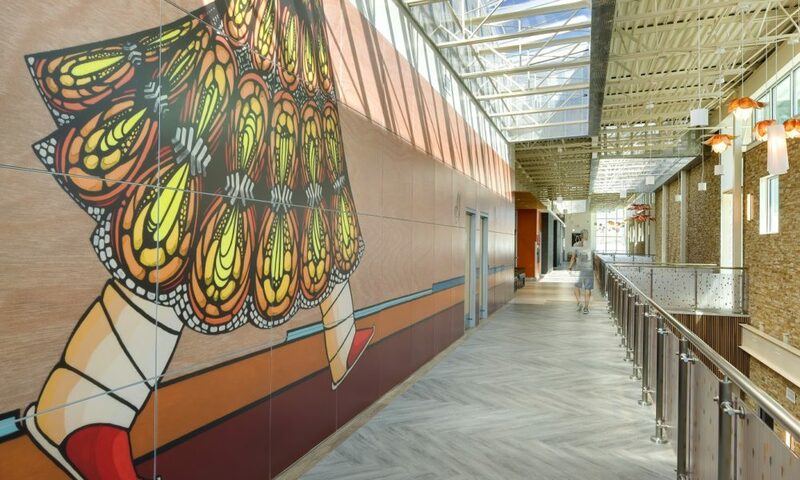 The integration of artistic features within architectural design enhances the built environment in a unique way, helping to make it more relevant to its users and visitors. 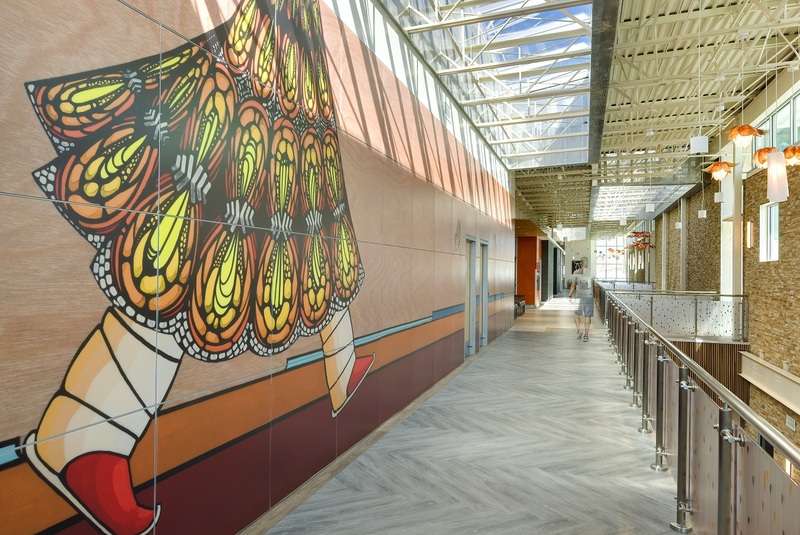 At DMA, our projects seek to reflect artistic expression throughout the actual building design, while also providing opportunities for the placement of art within and around the building. 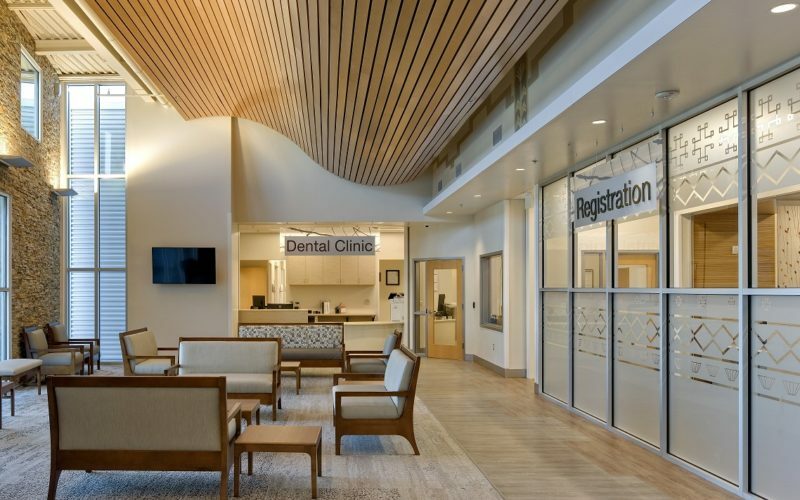 The design of the Montezuma Creek Health Center represents a contemporary interpretation of the Navajo culture of care and reflects a traditional reverence for nature within a state-of-the-art environment for the community of Montezuma Creek and surrounding San Juan County. 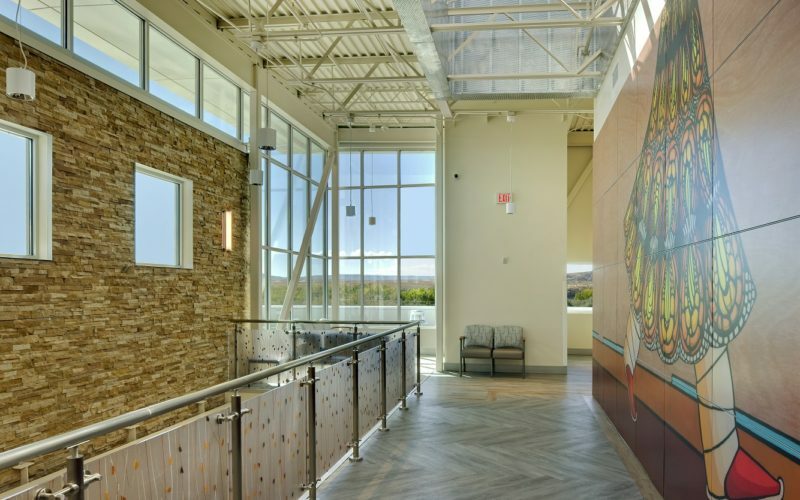 References to nature by way of strategic building design and unique art mediums play a linking role throughout the facility. For example, the curved ceilings and the natural lighting shining from the high windows make it look and feel as though you are walking through the nearby canyons. 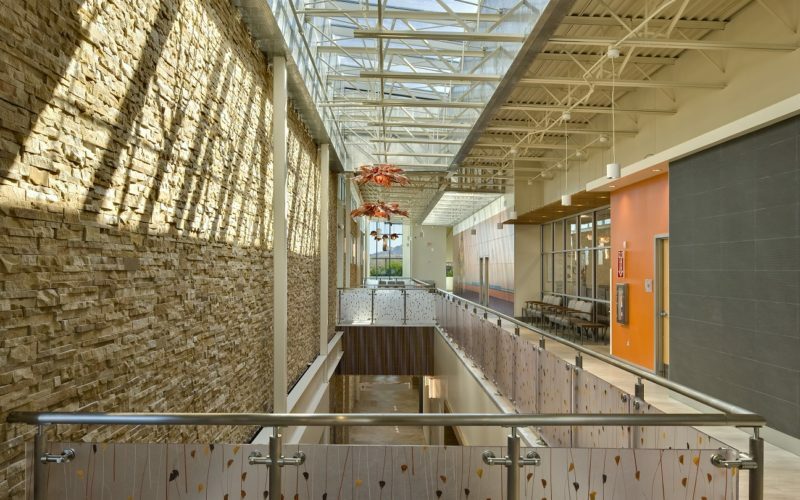 The stone walls adjacent to the skylights dramatize the play of light within the corridors. 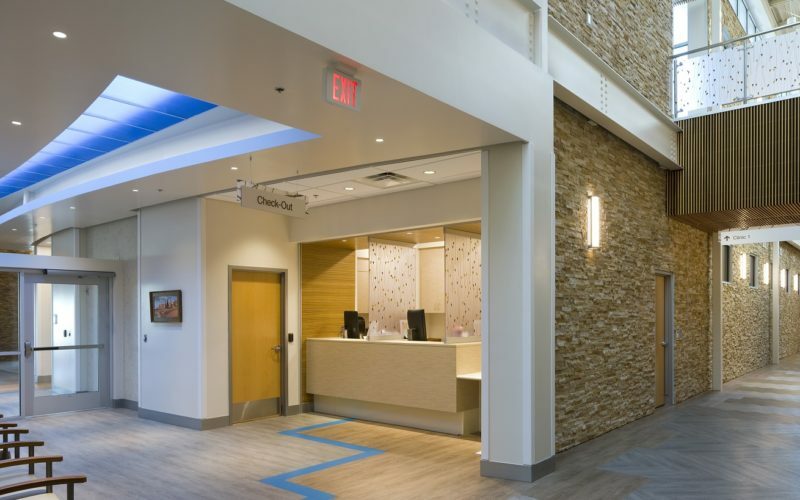 This design feature is influenced by the rustic nature of traditional Native rock dwellings which is accentuated within the contemporary facility. 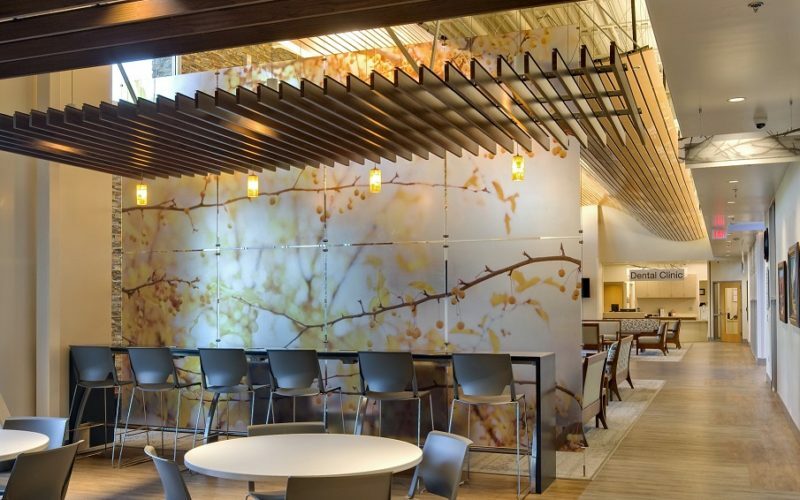 Resin panels incorporate graphical representations of nature, creating a calming influence for patients and visitors within the building. 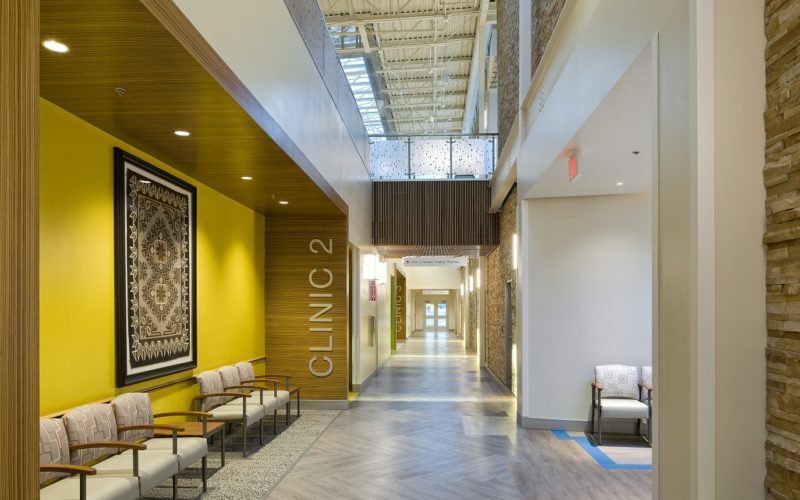 Natural elements such as the sky, river, and earth are referenced in the design by features including the LED lighting in the ceilings, turquoise floor patterns, and the stone walls. The resin art-wall panel is a direct replication of a painting by a local, Native American artist, Gil Scott. DMA worked with 3Form to scan, format, fabricate, and install the enlarged version of the painting, creating a dramatizing effect on building users. The enlarged art-wall produces an authentic sensation of walking within the painting. Exhibition spaces designed within the facility showcase artwork and sculptures from local artists. The exhibition wall placed within the background of the waiting area creates a connection between the local community and its artists.